You write an amazing piece of targeted content, hit publish, share it a few times on social media, rinse and repeat. Ever wonder why your posts never end up having much reach? Even brands with an established blogging audience can’t get their content viewed and shared with that strategy. Getting views and shares involves a whole lot more than writing awesome content and putting it out there for people to see. A quick Google search will tell you there are hundreds of ways to promote your blog posts, but some strategies are more valuable than others. 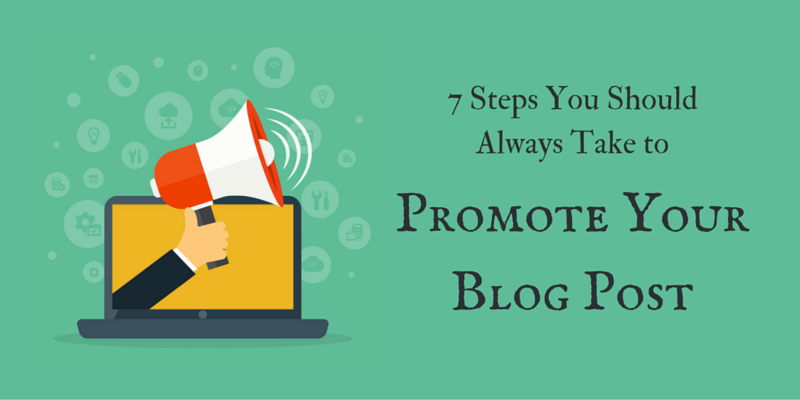 Here are 7 steps you should take to promote your blog post, every time. Step 1: Strategically share on social media. Everyone knows they need to promote their posts on social media, but very few know how to do it effectively. The first lesson in strategically promoting your post is making sure you’re sharing at optimum times. Millions of people are posting to platforms like Facebook and Twitter, so it’s easy for your posts to get lost in the mix, especially if you share them while your audience is asleep. Luckily, there are a ton of different tools that can help you optimize your posting times, like Hootsuite, Socialoomph and Tweriod. You probably already know that tweets with images drive more engagement (5 times more, to be exact). So, social media posts promoting your blog post should definitely include visuals, but on Twitter, you can take it a step further with Twitter Cards. In essence, it gives your tweets more real estate beyond the 140 character limit. If you have a WordPress website, all you need to do is add a Twitter Card plugin, such as Jetpack or WordPress SEO by Yoast. Follow the plug-in’s instructions to get it set up and add your Twitter Card meta data (each does it a bit differently). Then you’ll take the URL for the page on your website where the card will be displayed, and run it through the Twitter Card validator. Once it gets approval, any time someone tweets that link, the Twitter Card you made with appear with it. Social media automation makes sharing a whole lot easier, but it also makes a lot of us lazier about keeping up with the posts. You can and should re-promote your blog post throughout the month following publication. How often you share will depend on the platform. With Twitter, you can get away with sharing about 3 times/week. With Facebook, Google Plus and others, 2 times/month. Tip: Don’t repost the same exact tweets. Reinvent your blog post so people don’t feel like you’re spamming them. Try turning the post title into a question, or pull a compelling quote from it for your second and third shares. Step 2: Encourage influencers to share. Contact people you feature or quote. Does your post have a quote from another blogger? Do you discuss or link to someone else’s business? If so, it’s perfectly acceptable to ask them to share your post. Most will be happy to. Just send them a short email with a link to the post, and say they were featured in it. Tell them if they like it, you would appreciate them sharing. Reach out to people with a similar audience. Short of reaching out to your competitors, it can be valuable to contact influencers who have a similar audience to yours. For example, if I’m a web designer and I wrote a piece for my blog about common logo design mistakes, I could reach out to someone who blogs about startup and entrepreneurial advice. Then you can tell them about the post and say that you thought it might bring value to their audience (instead of just asking for a favor). You can even tweet it at them to increase their chances of seeing it (and then the retweet button is just a click away for them). Contact people who’ve shared similar content. If someone regularly shares certain types of content, they’re more likely to do it again. 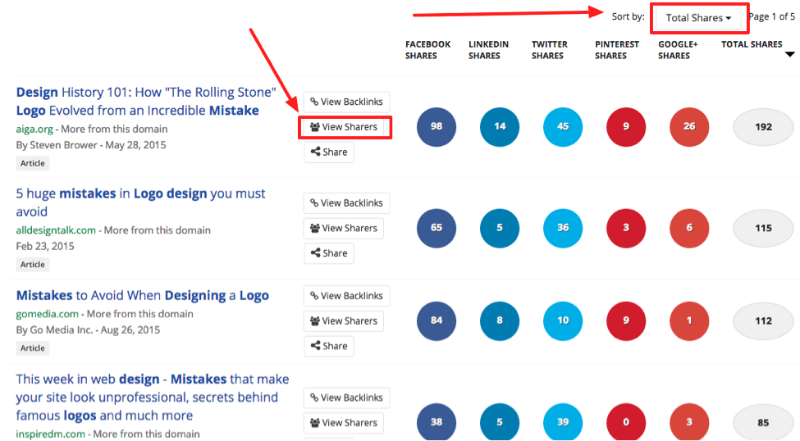 Buzzsumo is a great tool for finding highly shared content and its key influencers. Then I get a list of the most shared posts across social media. 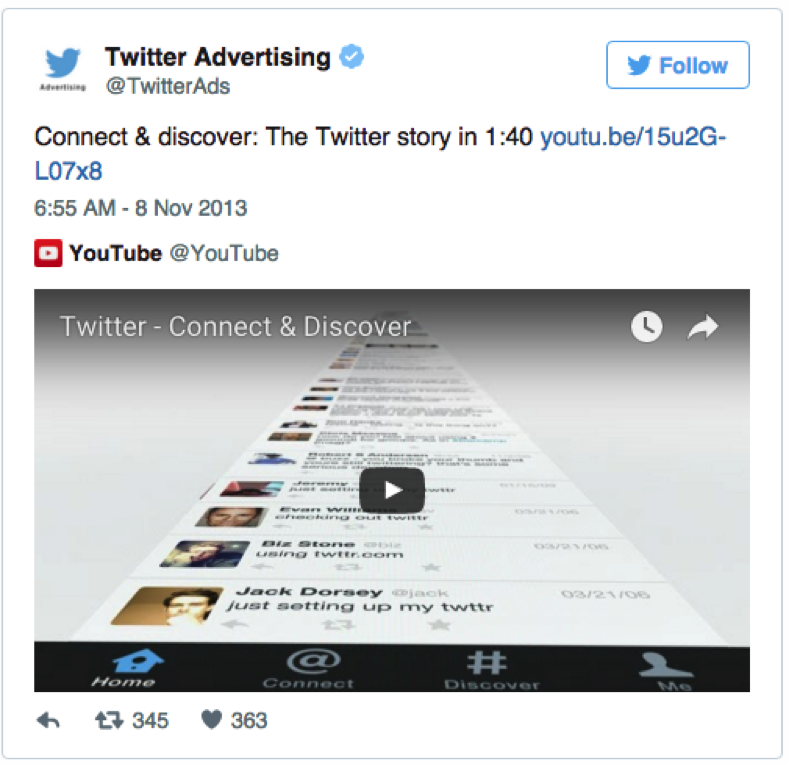 If I’m working on a specific platform, I can sort by shares on Twitter, Facebook, etc. I can then click “view sharers” for any post to see who was sharing. Tip: An unspoken rule of influencer outreach is that you shouldn’t contact people out of the blue. Before you ask someone to share, spend some time sharing their content, commenting on their blog posts, and building a relationship. Step 3: Consider paid promotion. In the past, most bloggers never even thought about paid promotion, leaving that method to the big brands. But the social media landscape is changing quickly — platforms like Twitter and Facebook are already increasingly favoring paid content over organic posts. That means an organic-only strategy is quickly becoming not enough to reach your audience. Paid social promotion can actually be quite affordable and effective for any kind of business. 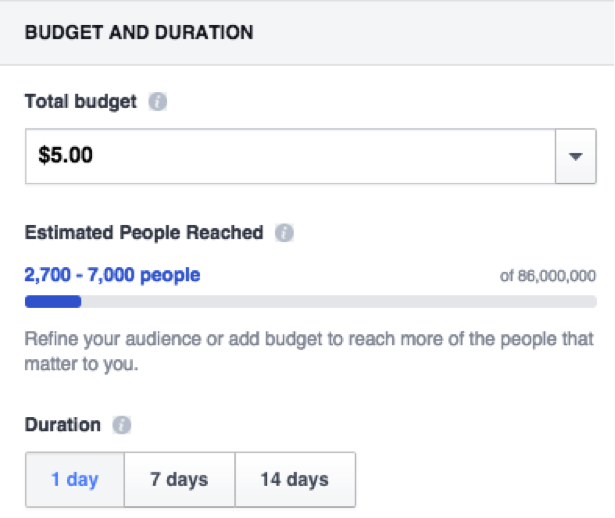 Budgets are in your control, so there’s no way you’ll overspend for impressions. And social platforms do a great job of delivering your paid post to the most relevant audience possible. Twitter is also easy. Just select the tweet you want and click “Promote this Tweet.” If it’s your first time using Promoted Posts, you’ll be prompted to put in your payment information. Twitter will then walk you through similar options to Facebook, allowing you to target your tweet based on audience demographics, and control your budget. 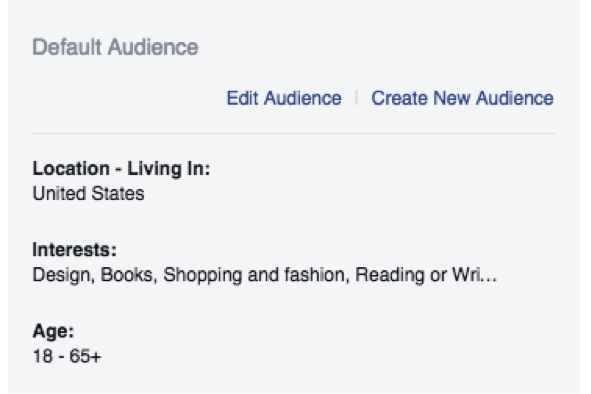 These are just a couple of the paid social options out there on Facebook and Twitter. You can also take advantage of paid promotion on Stumbleupon, Instagram and LinkedIn, depending on your audience. Step 4: Feature the post in your email campaign. If you’re choosing your topics right, the blog post should be relevant to your email subscribers as well. If this post would work well in your lead nurturing efforts, then feature it in your email campaign. Create an email that gives a brief overview of the new post and links back to it. Don’t give too much detail, but instead encourage readers to follow the link. Add it to your autoresponder sequence so it’s delivered to your audience over time. There are other ways you can sneak blog posts into your email content. You can simply link back to the post in other content you developed for email marketing. Or, put together a newsletter that features a series of blog posts you’ve written around a certain theme. Whatever method you use, make sure the email has a call-to-action asking people to subscribe to the blog. Step 5: Submit to blogging communities. Blogging or content communities are 3rd party networks where you can share your content, connect with other bloggers, and gain more exposure. You may want to contribute to some or all communities, depending on your target audience. For example, Medium is very generalized and a great place to share less business-y material, while StackStreet is targeted towards Millennials. Step 6: Strategically place links to the post. Have an old blog post that’s wildly popular? Go back and edit it — sneak in a link to your new post. This will help draw secondary traffic to the one you’re promoting, keep people on your website by offering them related content, and help the newer post gain visibility in search. 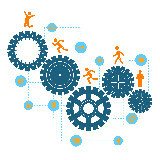 Look for forums related to your niche and participate in the conversations there. You can also look into the conversations happening on Quora and Reddit. In a way that offers value, include a link back to your post. But be careful with this one. Make sure your post is really relevant, otherwise it might come off as spammy. Step 7: Repurpose the content. Now you’ve done all the initial legwork of promoting your post, but the job isn’t over. You can still squeeze a lot more juice out of your content by giving it a makeover. Content Marketing Institute is really good at this. They regularly release PDF industry reports like this one, which they then repurpose into a slideshare presentation, blog post, and YouTube video. Sometimes, they turn it into a podcast or infographic. If your blog post was wildly popular, you might even consider expanding it into a series of posts, or an ebook. Then follow the same steps above to increase the new content’s reach. When it comes to promoting your blog posts, there are hundreds of tricks you can try to broaden your reach and encourage engagement. You can (and should) spend some time experimenting with what works best, but you still need an underlying strategy that you use to boost every single post. Stick with these core strategies to ensure every post gets the visibility it deserves. These are the most important and effective tips that need to consider for promoting your blog. It is more effective information.